In May 2011 UTAC and Scotiabank CONTACT Photography Festival will mount Suzy Lake: Political Poetics a major themed exhibition of the work of a seminal figure in the history of Canadian art and feminist practice on the international stage. Suzy Lake: Political Poetics is one of the primary exhibitions in the Scotiabank CONTACT Photography Festival. CONTACT 2011: Figure and Ground investigates the way photography mediates how we perceive, recognize and experience the rapidly changing world around us. This year’s festival explores the tensions between humanity and nature, from the figure in the landscape to the effect of human intervention on the ground. Lake’s approach to art making over 40 years has been rigorous and challenging. One of the key pioneers in body-based work, Lake produced a significant and coherent corpus of work that examines both politically and aesthetically the experience of gendered embodiment. Beginning in the 1970s, Lake took her own body and life as the subject of her work. 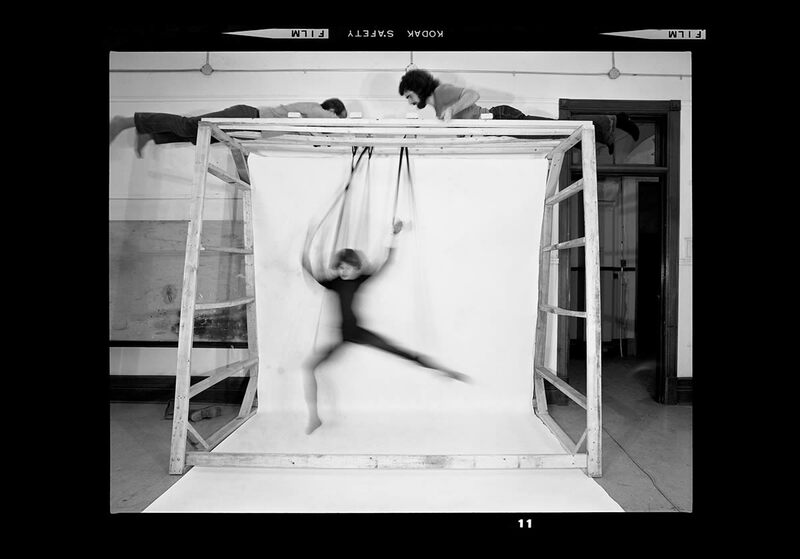 From series such as On Stage (1972-5), Choreographed Puppets (1976) and Impositions (1977) through to Peonies and the Lido (2002) and Extended Breathing (2008-present) she has photographed herself in staged situations and using costumes, props and actions to examine models of femininity. In this way she broke ground for later practitioners such as Cindy Sherman. Lake’s photo-based and performative explorations of the body, femininity, and beauty move beyond simplistic critique to offer a powerful and nuanced investigation into the experience and expression of female identities in the context of contemporary political, social and media environments. Lake’s practice of performing for her own camera creates a complex body of work that politically and aesthetically engages with herself as both the subject and the object of vision. Through her image doubles Lake opened up the fraught relations between image and identity that have become a central concern of late 20th and early 21st century art practice. We gratefully acknowledge the project support from the Toronto Friends of the Visual Arts, Partners in Art, the Ontario Arts Council, Celebrate Ontario, the Toronto Arts Council, the Canada Council, and the Delta Gamma Women’s Fraternity. With additional support from Janal Bechthold, Jane Bunting, Gillian Fleming, Jean Griffiths, Sasha Krstic, Judith McErvel, Margaret McKelvey, Nancy Robinson, Patti Stoll, Annita Wilson and Jane Zeidler. Title Image: Suzy Lake,Peonies and the Lido #7 (detail). Chromogenic prints. 127 x 94 cm, 127 x 86 cm and 127 x 94 cm.